Congratulations to computational plant geneticist Dr. Doreen Ware for her promotion to Adjunct Professor at Cold Spring Harbor Laboratory (CSHL)! In addition to this position, Ware works for the USDA to protect the future of agriculture and the environment. We’ve featured her once before, but her post now needs an update! One of the biggest holdups in plant genomics (the study of plants’ genome or complete set of DNA) is a lack of sequence information. Some plants have their genomes well-covered, while others are more like black boxes. Sequencing plant genomes isn’t easy because many plants have tons of DNA (much more than humans) and there are many of different species of plants each with subtle (or dramatic) differences in different regions. Ware’s interested in how these differences arise and affect plants but to answer these questions she needs reliable sequence data – and lots of it. The raw results of DNA sequencing fragments you have to figure out how to piece together and Ware’s working to speed up this process. She helped lead the most comprehensive analysis of the maize genome. Additionally, she’s mining the data to try to find “targetable” regions that are important for helping plants thrive in different conditions to help farmers grow crops in a changing climate and with less reliance on environmentally harmful fertilizers. Ware is a key contributor to three international plant genomics collaborations. 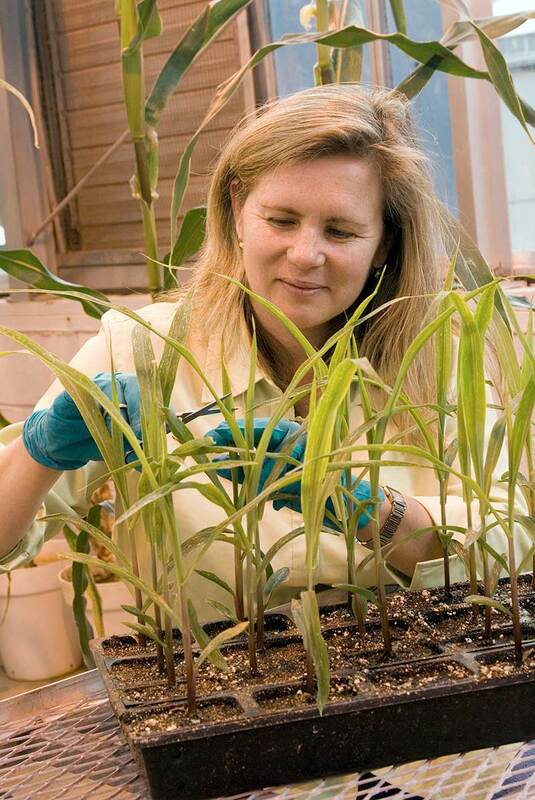 She’s the principal investigator for the Gramene project, a National Science Foundation (NSF)-funded mission to provide a comparative genomics resource for important agricultural crops. This tool combines genomic and experimental data so that scientists and farmers can see what a gene does in one plant, and predict what that gene (or a similar version of it) might do in another plant. She also works on the NSF-funded CyVerse project which develops “cyberinfrastructure” to make the vast amount of data easier to mine and the Department of Energy (DOE)-funded Systems Biology Knowledgebase (KBase), which aims to help create predictive models of how plants, microorganisms, and the environment interact. Ware has also been involved in mentoring future scientists – she has mentored high school students through CSHL’s “Partners for the Future” program and one of her mentees, Pragati Muthukumar, a senior at Commack High School, was named as a semi-finalist in the national Regeneron STEM Talent Search. This past weekend, at the CSHL WiSE/DNALC “Get to Know GMOs” day, she talked to parents about facts and misconceptions about GMOs while the WiSE Outreach committee led the kids through fun activities including isolating DNA from common foods and testing for presence of genetic modifications. Ware studied biochemistry at the University of California, San Diego, then earned her Ph.D. from Ohio State University in 2000. She joined CSHL as a Post Doctoral Fellow in 2001, then became an Adjunct Associate Professor, and (as of this week!) an Adjunct Professor at CSHL. Her CSHL post is in addition to her primary position as a permanent scientist with the US Department of Agriculture (USDA)’s Agricultural Research Service (ARS). Congratulations Dr. Ware, thank you for all your hard work, and we wish you all the best as you continue your journey!